Tesla chief Elon Musk pushed back Wednesday night against a report that outgoing 21st Century CEO James Murdoch was set to replace him as Tesla chairman. “This is incorrect,” Musk tweeted in reply to the Financial Times, after the outlet had shared its report Murdoch was the “lead candidate” to become chairman. Murdoch, already a Tesla board member, has indicated he wants the job to executives at the electric car company, according to FT.
Tesla did not respond to TheWrap’s request for comment. Musk declined to comment to FT, and Murdoch directed the outlet to ask Tesla about the matter. The report comes on the heels of Musk and Tesla each agreeing to pay $20 million to settle a fraud lawsuit with the Securities and Exchange Commission last month, after Musk had tweeted he had “funding secured” to take the company private at $420 per share. The tweet sent Tesla shares racing higher, jumping from about $350 to $380 a share in early August. 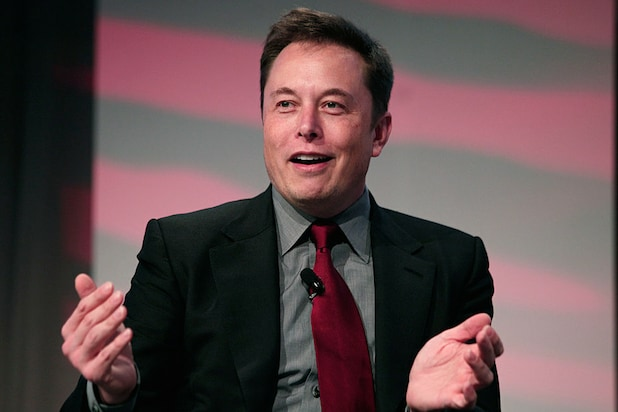 Musk later walked back his comments and said Tesla would remain a publicly traded company. Murdoch — son of media mogul Rupert Murdoch — is poised to be succeeded by his brother, Lachlan, when 21st Century Fox completes the selloff of the majority of its assets to Disney. Murdoch spoke highly of Musk in a recent appearance at a Goldman Sachs conference.